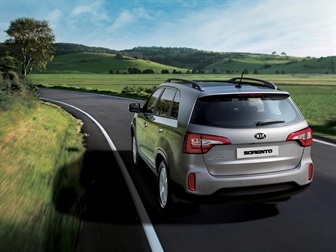 Motorama Kia Moorooka offers a range of vehicle finance solutions for yourself or your business. Our finance experts are highly qualified and can provide tailored advice for our customers that reflect your needs and budget. Motorama uses Esanda, a subsidiary of ANZ, one of Australia’s largest providers of vehicle finance. So it doesn’t matter if you need a Kia for you or for business - Motorama does it all under one roof, taking the hassle out of finance to get you on the road faster. Are you looking for an easy, no hassle car finance solution on your next vehicle? The Vehicle Finance Department at Motorama Kia is available at your convenience, 7 days a week and are committed to servicing your needs. If you are looking to finance your next personal vehicle, our range of consumer loan packages are flexible and can also cover registration, insurance and extended warranty. Alternatively, if you are part of an organisation that requires business car finance, we have a range of business vehicle finance packages such as chattel mortgages, term purchase loans, leases and novated lease packages to help suit the needs of your business. If you would like to make a finance enquiry, please fill out our vehicle finance enquiry form. When you're looking to purchase a new or used motor vehicle that will be driven predominantly for personal, domestic or household use, Motorama Kia can help you arrange a Kia Financial Services Personal Vehicle Loan as a fast and flexible way to get into the car you want - today!